With its rolling hills and numerous royal conquests, there’s no place where history comes alive in such a lush setting as it does in Wales. Everywhere you look, the evidence of kings, queens, conflict and empire call to you. There are more than 600 castles – 641 to be precise – so even without trying you’ll come across a few. Even the country’s young capital has one – right in the heart of the city. Cardiff Castle mixes medieval and Victorian gothic architectural styles to thrilling effect. These proud battlements are a historical legacy that is testament to a tumultuous past, and to the indomitable spirit of the fighting Welsh – these castles were built for a reason. When the Romans withdrew, the separate Welsh kingdoms were left to squabble and spar for centuries until the Normans landed in the 11th century. But the Welsh proved unwilling subjects even then. It was not until Edward I – the famous subduer of William “Braveheart” Wallace – launched his war of subjugation two centuries later that Wales finally fell to England’s boot. Edward consolidated his victory with the impressive castles you can still visit today. Most are in excellent repair, with walls as solid now as when their first stones went in the ground. Beaumaris – the biggest castle Edward built and a truly imposing military fortress. It is located on the island of Anglesey, separated from mainland Wales by the Menai Strait, which is home to Prince William in his duties as a Royal Air Force search-and-rescue pilot. William is most intimately connected to the most majestic of the Unesco castles, the stunningly preserved Caernarfon Castle. This is where his father, Prince Charles, was invested as the Prince of Wales – and where, one day, William is likely to follow suit. For the first time in more than 30 years, NASA is allowing Kennedy Space Center visitors inside the Launch Control Center – where NASA directors and engineers supervised all of the 152 launches including the space shuttle and Apollo programs. The KSC Up-Close: Launch Control Center (LCC) Tour, the second in Kennedy Space Center’s special 50th anniversary series of rare-access tours, takes visitors inside Firing Room 4, one of the LCC’s four firing rooms and the one from which all 21 shuttle launches since 2006 were controlled. Inside Firing Room 4, visitors will pass by the computer consoles at which engineers monitored the computerized launch control system’s thousands of system checks every minute leading up to launch. They’ll see the main launch countdown clock and many large video monitors on the walls, and enter the “bubble room,” with its wall of interior windows through which the Kennedy Space Center management team viewed all of the proceedings below. As with the Vehicle Assembly Building, visitors have not had access to the LCC since the late 1970s, during the period after the Apollo and Skylab programs ended and before the first space shuttle launch in 1981. The LCC will continue to operate in guiding the next generation of rocket launches from Kennedy Space Center for NASA and potentially for commercial space programs. Future launches of SpaceX, whose recent launch from nearby Cape Canaveral Air Force Station resulted in the first mission by a commercial company to travel to and dock with the International Space Station, could take place from Kennedy Space Center beginning in 2013. The LCC Tour is led by a trained space expert, giving visitors an insider’s view of the space program from launch preparation to liftoff. The tour also includes drive-by views of Launch Pad 39 and culminates at the Apollo/Saturn V Center, where visitors can resume the regular tour. The U.S. Air Force is quietly assembling the world’s most powerful air-to-air fighting team at bases near Iran. 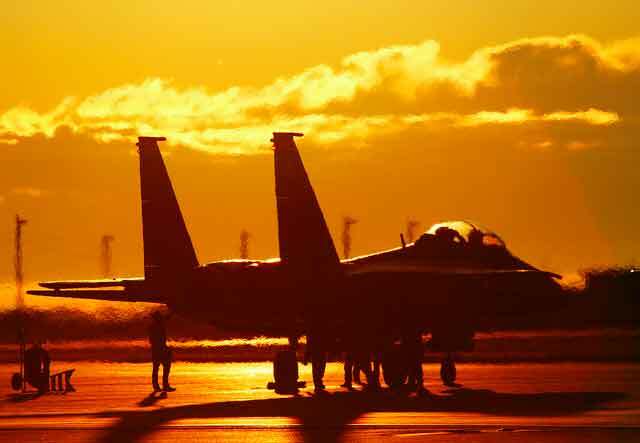 Stealthy F-22 Raptors on their first front-line deployment have joined a potent mix of active-duty and Air National Guard F-15 Eagles, including some fitted with the latest advanced radars. The Raptor-Eagle team has been honing special tactics for clearing the air of Iranian fighters in the event of war. 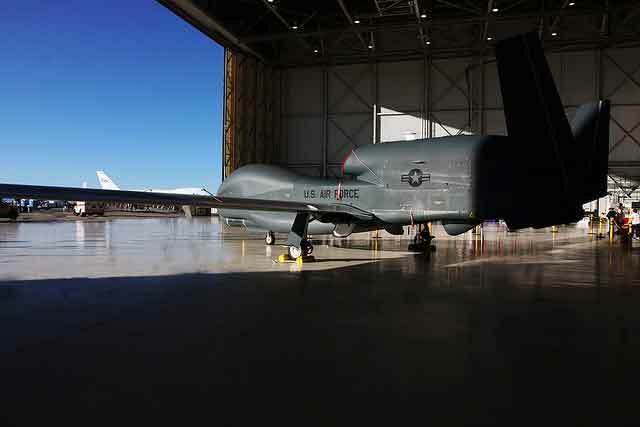 The highly-experienced Massachusetts Guardsmen, who typically have several years more experience than their active-duty counterparts, would be ready “should Iran test the 104th,” said wing commander Col. Robert Brooks. …it’s the methods above that the U.S. dogfighting armada would likely use to wipe out the antiquated but determined Iranian air force if the unthinkable occurred and fighting broke out. The warplanes are in place. The pilots are ready. Hopefully they won’t be needed. // Photo – Bundeswehr-Fotos Wir.Dienen.Deutschland. As the U.S. Federal Aviation Administration prepares to let civilian unmanned aircraft operate in domestic airspace, universities including Embry-Riddle have created majors in flying and building drones. Enrollment is accelerating as students look for new opportunities in an aviation job market pummeled by airline bankruptcies. The drone industry, estimated worldwide at $5.9 billion annually, will expand to $11.3 billion by 2021. During the past 10 years, drones have become a vital military tool in Iraq and Afghanistan, creating a platform to attack terrorists without risking pilots’ lives and giving ground troops a chance to see their opponents from the air. Congress passed bills in December and February that ordered the FAA to create six test sites for flying unmanned aircraft alongside regular planes. The agency must also complete a plan for integrating unmanned flights into the aviation system by Sept. 30, 2015. 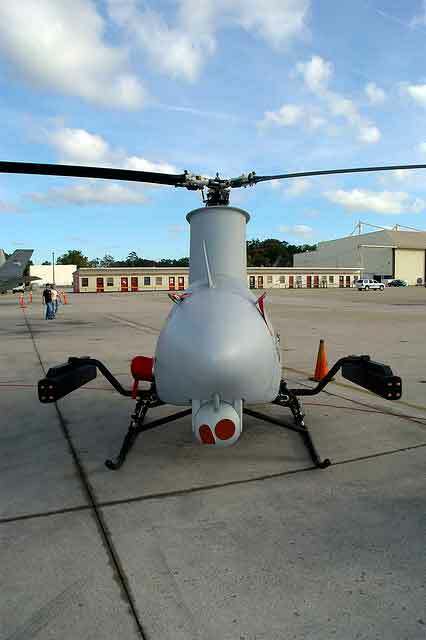 Unmanned aircraft could be used for photography, police surveillance and monitoring pipelines and power lines. U.S. Customs and Border Protection has special permission to use drones. 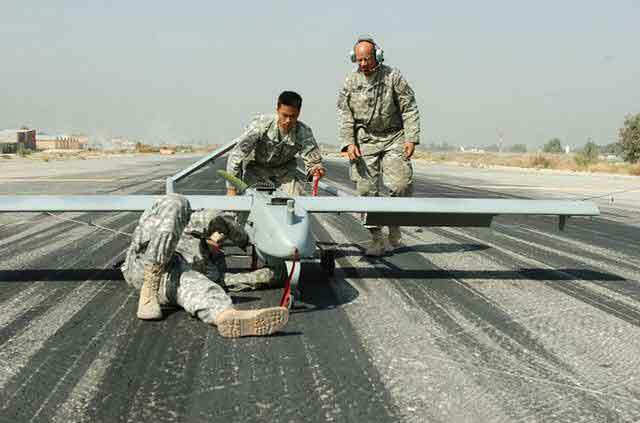 Here are a selection of drones, or unmanned aerial vehicles (UAV), used by the military. I suspect the first to be employed privately will be the helicopters for police surveillance. 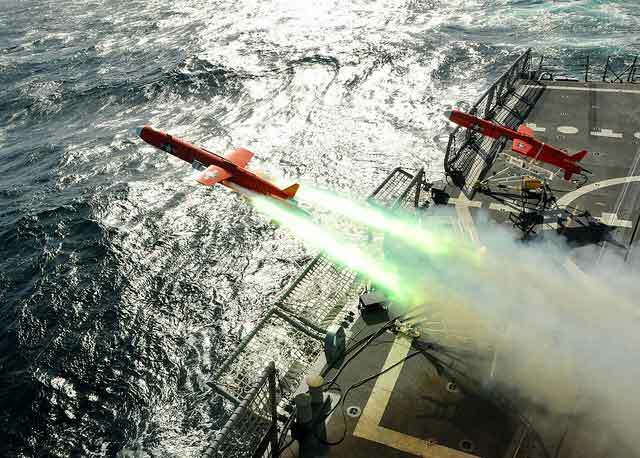 A BQM-74E aerial drone is launched from the guided-missile frigate USS Thach (FFG 43) during a live-fire exercise. 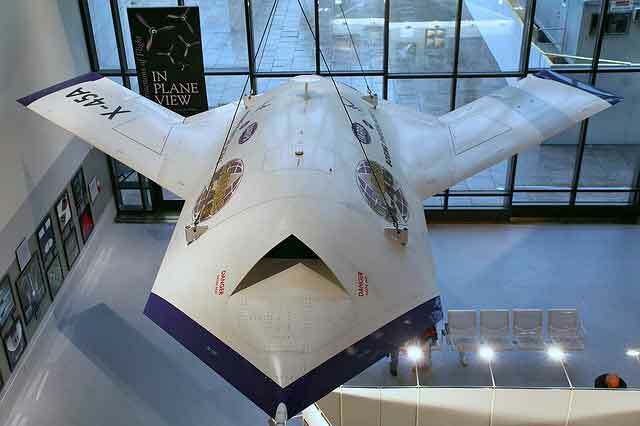 First flown in 2002, the Boeing X-45A was the first modern UAV designed specifically for combat strike missions. The stealthy, swept-wing jet has fully retractable landing gear and a composite, fiber-reinforced epoxy skin. Its fuselage houses two internal weapons bays. The U.S. Navy's Fire Scout Vertical Takeoff and Landing Tactical Unmanned Aerial Vehicle (VTUAV) launches into its flight test program. A Shadow Unmanned Aerial Vehicle is being attended to by three soldiers at Forward Operating Base Fenty, Jalalabad Airfield, Afghanistan. 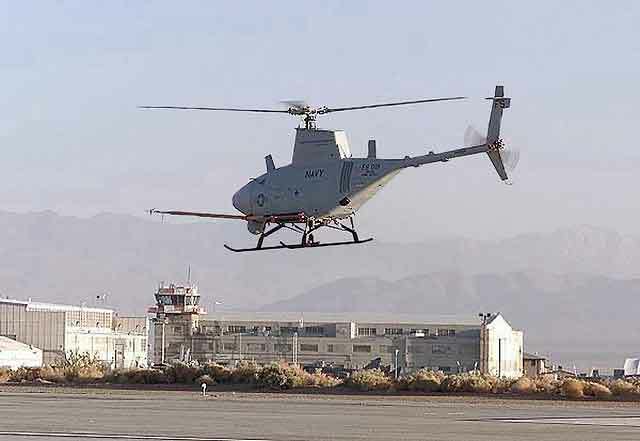 A Northrop Grumman RQ-8B Fire Scout Vertical Take-Off and Landing Tactical Unmanned Aerial Vehicle (VTUAV) System.